Although the move for Lush is only two blocks south to North Michigan Avenue, the new venue will be worlds away. The move is part of an overall facelift for all their branches to bigger, better, and more user-friendly spaces. The new store just opened last week, and offers 2,200 square-feet of floor space where customers will be encouraged to touch and feel the merchandise. The experiential sales floor model will be coming to all Lush’s 250 North American stores over the next 3 years. Brandi Halls, director of brand communications at Lush, explained that the past ten years saw a quick expansion of the number of Lush shops, leaving many too small for the company to give its customers the kind of experience they would like. 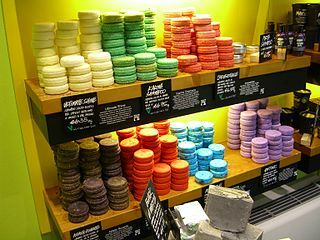 The new shops are more than doubling in floor space from the previous design, with plenty of room for rainbow colored bath bombs piled in displays, grocery store style; areas for cosmetic consultations; and even sinks for demonstrations of products. “With a lot of our more innovative products, people aren’t always sure how to use them, so demos let customers get their hands in the water and feel it on their skin,” Halls said. Not all the current locations will be abandoned. Any store already reaching 1,500 square feet will remain, but the interior design will be re-done so that it matches the ideal interior. The template for the new look is the company’s London flagship store, which has 10,000 square-feet of space. So far, the company has relocated or redesigned about 30 stores, including the one on Michigan Avenue.